A decade before Will Smith forever linked professional football with traumatic brain injuries in the movie "Concussion," three tragic stories on much smaller stages proved to the nation how dangerous concussions could be. "Zackery. Max. Jake. It turned into this whole movement," said Dr. Karen McAvoy, a Colorado brain injury expert. 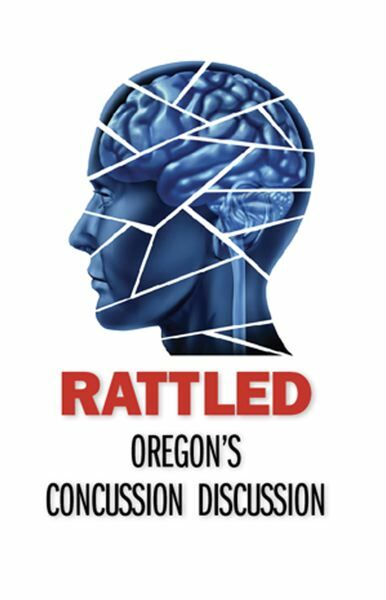 She was referring to a trio of concussed high school football players — including Oregon's Max Conradt — who put names and faces on a problem that had been largely ignored for decades. What's been missing, according to some education advocates, is an equal focus on how to help all kids with brain injuries succeed in the classroom. Conradt and Washington's Zackery Lystedt suffered serious permanent brain injuries — in 2001 and 2006, respectively — after taking second hits on the football field. Colorado's Jake Snakenberg, whom McAvoy knew personally, died in 2004 from the same circumstances, known as second-impact syndrome. In response to the tragedies, state Legislatures — led by Oregon and Washington in 2009 — began to pass return-to-play laws. These are rules that require concussed athletes to be pulled from practice or competition and which govern when they can safely return to sports in order to ward off potentially catastrophic damage. "That is the premise of all concussion management laws," McAvoy said. Most legislation didn't touch the impact of concussions on nonathletes, nor to what schools are actually known for: learning. "It just never even crossed people's minds in the beginning," McAvoy said. "That educator piece was foreign to other people's thinking." McAvoy, who had worked in brain health for years before meeting Snakenberg, wondered whether the attention to this more common injury would finally open the door to the school-based approaches needed for all brain injuries and disorders. "The athletics is where it gets a lot of attention, but honestly that's not where the most head injuries occur," McAvoy said. 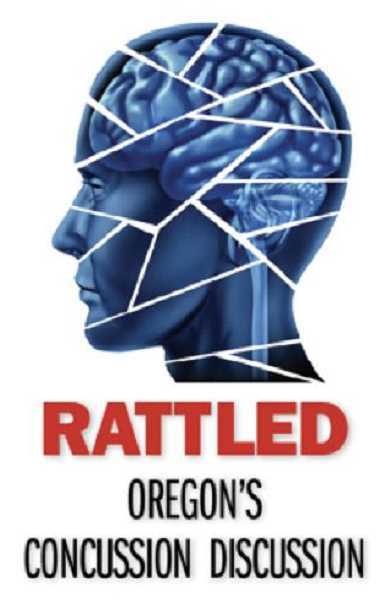 Journalists working on this project — Rattled: Oregon's Concussion Discussion — heard from many readers about youth concussions suffered outside of school sports: on bike trails, backyard trampolines and in car accidents. Dr. Becca Carl at Laurie Children's Hospital of Chicago also stressed that concussions are not just from sports. "I've had two kids have a concussion falling into a dresser in their home," Carl said. Brenda Eagan-Johnson, who leads Pennsylvania's 300 brain injury education consultants, has found in her state's referrals to special education that about half of all concussions in school-age children are not from sports. "There's always those locker concussions. Bus concussions. Local fair rides that cause concussions. Snowball concussions. Sled-riding concussions," Eagan-Johnson said. "We've just had them all." Return-to-play legislation has been effective in nudging districts to pay more attention to athletics concussions. But the philosophy for concussion management in the academic world has been to simply offer resources. Oregon, Colorado and Pennsylvania are similar in that they operate on a local-control model of education — school districts can pick whether or not they want to take advantage of educational models and resources, like concussion management. And, McAvoy says, too many still don't. "There is still a lot of myth and misunderstanding that if you have an athletic trainer, you have concussion management. We need to think wider," McAvoy says. "That is exactly what the problem is, is that so far this whole world of concussion has been about sports and school-sponsored sports." Because it has been freely available, there's no way to know how many educators have been trained in REAP, but it is easily in the thousands. In Colorado, its Department of Education also has two staffers who continually coach school districts on how to approach traumatic brain injuries, including mild ones like concussions. 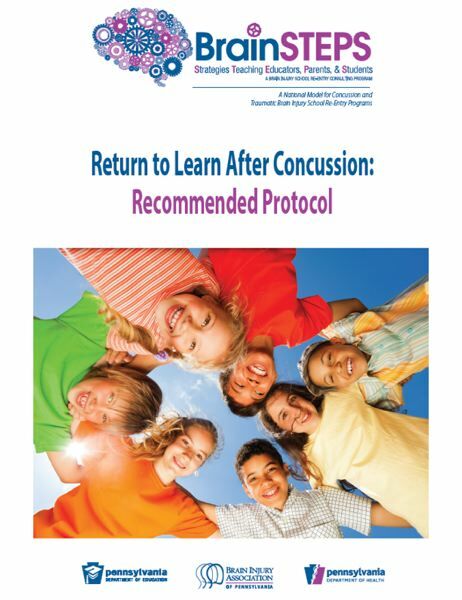 Pennsylvania's Eagan-Johnson, who worked with McAvoy to develop the return-to-learn module Get Schooled on Concussions, probably has been more effective than anyone in the country at training people on school-based concussion management. "No one is mandated to do it, but so far we've trained over 2,000 school teams. And I know no other state has done that," she said. To address concussions in schools, CBIRT spent years and $600,000 developing a 10-hour online professional development course called "In the Classroom After Concussion." Only a few dozen people — 141 to be exact — have taken the course so far. Most of them have been members of CBIRT's school-based TBI teams. Now that clinical trials of "In the Classroom" have finished and proven it to be an effective training, CBIRT Director Ann Lang hopes to market the course more broadly. Iowa Brain Injury Alliance CEO Geoffrey Lauer said his state was among the 10 that have chosen over the years to go with Colorado's model. But Lauer said he believes either REAP or "In the Classroom" are good approaches. "The 'right' way to do it or the 'best' way to do it, it kind of depends on how you see the world," Lauer said. But, he added, schools should pick something and do it. "Not attending to this is resulting in literally thousands of students having socioeconomic trajectories that they didn't need to have." Colorado recently adopted Pennsylvania's brain injury education program — called BrainSTEPS. It's a modular way for school staff to think about brain injuries and disorders of all types. 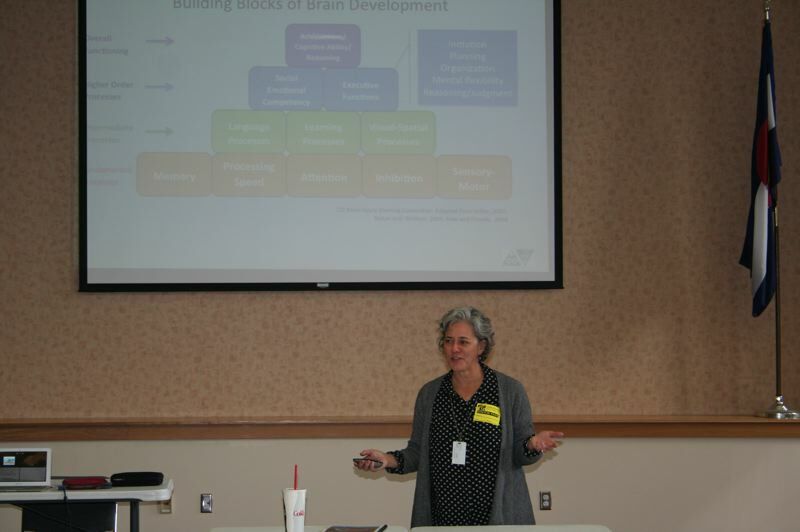 Teachers need a paradigm shift, she said, so that concussion management "will live in schools the way autism lives in schools, the way ADHD lives in schools." McAvoy, herself a doctor with her own clinical practice, said concussion management in the classroom can't be directed day to day by doctors. "If we make this too medical of a condition, it will be very difficult for general education teachers to feel like they can manage it," McAvoy said. McAvoy said she still hopes that the recent focus on sports concussions will lead to a broader understanding in schools of developmental disabilities and traumatic brain injuries. "If you're a person who doesn't have the whole brain injury spectrum in your mind, you're not balancing it with this whole history and legacy of brain injury," McAvoy said. But brain injury experts like McAvoy, Pennsylvania's Brenda Eagan-Johnson, and others hope to expand that legacy into the classroom by using the growing interest in sports concussions to create a better understanding within our schools that all brains have different needs. • Concussed students have trouble concentrating, have low energy, have difficulty remembering information and just don't process very well. They could have sensory symptoms like nausea or an aversion to bright lights. • Concussed students benefit from light amounts of cardiovascular exercise — like walking from class to class. Even if the child still has a headache or other mild symptoms, there is no need to stay home in a dark room. "That's really been debunked," says Dr. Becca Carl at Lurie Children's Hospital of Chicago. • Supports in school could mean forgiven assignments and skipping nonessential tests. Pushing off all the work until a vacation or waiting until the student is "better" ramps up stress as work piles up — which makes recovery longer. • Educators and parents need to direct the supports. Concussion symptoms change from day to day and can resolve rapidly. There's no time to keep going back to the doctor for updated medical restrictions.